We're so glad you found us. Be assured you will find a warm welcome at any of our services or extra activities. We are here to serve the community around us. As well as all the events we put on we also let out our facilities. If you have any questions you are welcome to contact us. 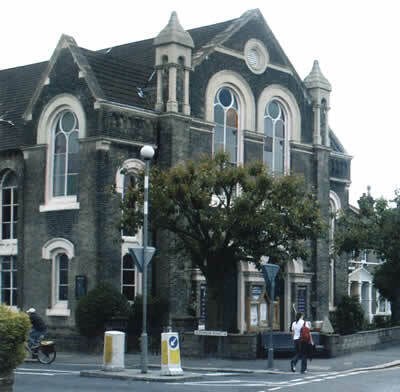 Cann Hall and Harrow Green Baptist Church is a lively, loving church that seeks to put the Gospel of Jesus Christ to work within the church and the local community. We are a church that is made up of many nationalities who are all united as part of the worldwide family of God. Today there are many different voices that are all striving to be heard with just as many opinions to go with them. In the Christian Church we are concerned only with the voice of God as it was brought to us by the life, death and resurection of Jesus and of how this message is as relevent to life today as it was over two thousand years ago. This church in Leytonstone is a place of welcome to all who come here because, as our mission statement says, ' In the name of Christ we are here for you.' So welcome to this website and we hope that having seen it you may want to come and pay us a visit on a Sunday so that you may hear and see for yourself our love for God, each other and the world.